Cardamom pods are produced by several varieties of perennial plants which are native to India and belonging to the ginger family (Zingiberaceae). Cardamom plants are sometimes called "cinnamon palms" and Cardamom. 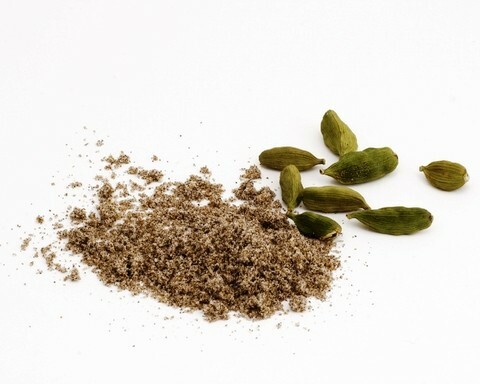 Most commercially available cardamom spice is a variety of two species, Elettaria cardamomu, or Amomun kravanb. The cardamom plants can grow to be large bushes consisting of long, straight slender stems with numerous symmetrical, dark green, pointed leaves. The cardamom plant has a thick fleshy root called a rhizome, or an underground stem from which shoots emerge. Cardamom produces beautiful little, lightly colored flowers that appear most of the year and produce the green cardamom fruits. These green pods are picked before reaching maturity and usually contain approximately 12 cardamom seeds. Green cardamom pods are the preferred form of this spice in its native country, India. 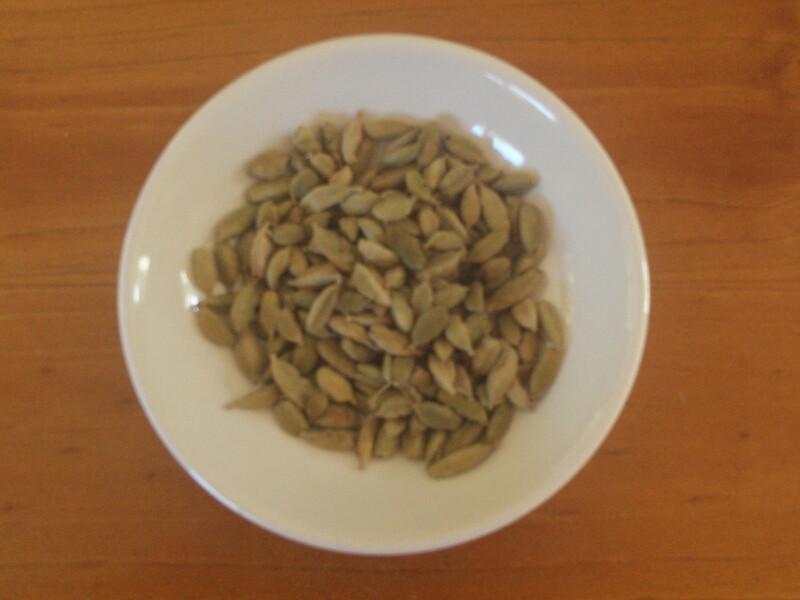 This fancier kind of cardamom has been picked while still immature and sun-dried to preserve its bright green color. Green cardamom pods are harder to find and more expensive in part because of their superior ability to retain aroma and flavor longer. This premium form of cardamom is all connoisseurs will use in any recipe which calls for cardamom.